Three beautiful pools await you at Alhonna Resort. 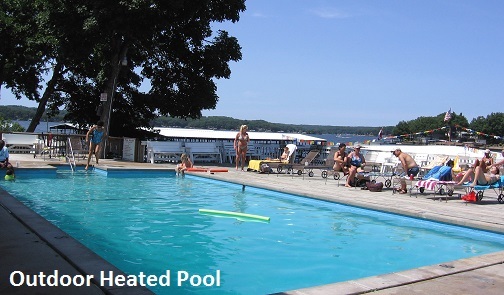 The large heated indoor pool can be enjoyed March through November. Set in bay windows, 2 eight person capacity hot tubs await your pleasure in the indoor pool area. Please note: The indoor pool and hot tubs are closed December 1 through mid-March each year. 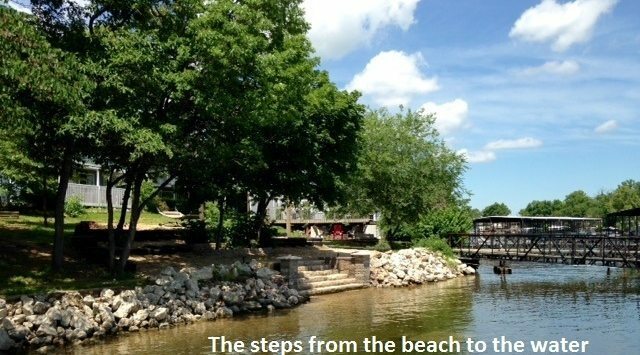 Located lakeside in front of the cottage 4, our large sandy beach area offers shade and sun with steps that walk right down into the Lake where you will find a gradually sloped swimming area. As always, when swimming in the Lake, footwear is strongly suggested due to the rocky bottom. 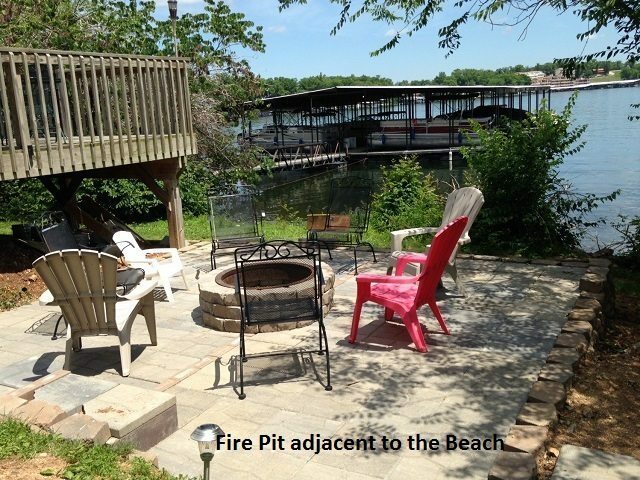 Enjoy songs around the campfire or some toasty s’mores with the kids at Alhonna’s two fire pit areas. The first is located next to the indoor pool deck and the second is located in front of the building that houses units 14 through 19. Firewood and fire starters may be purchased at the office. Alhonna offers a full service gas dock with Regular Unleaded and Premium Unleaded gasoline. All slips are padded to pamper your boat when the going gets rough. Our gas dock is open year ’round. Please call for hours off season. 111 slips are available to Alhonna guests. One complimentary slip is provided with each room at no charge. All slips are covered, lighted and electrified for your convenience. Slips range in size from 9×20 to 11×28. 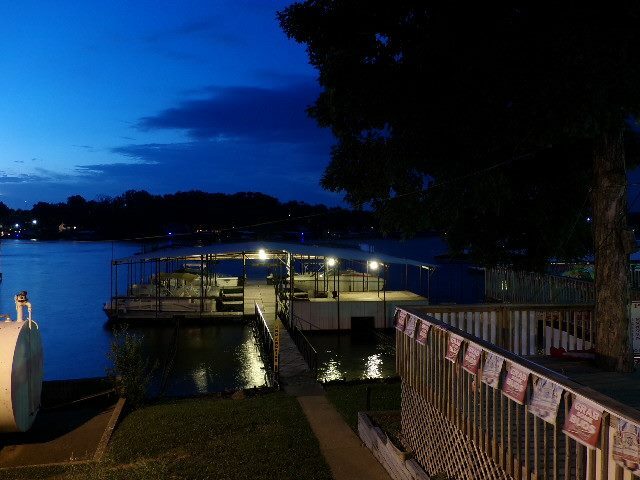 Getting your boat into the water is simple too…we have two concrete launching ramps that can handle up to a 30’ long and 8 1/2’ wide boat. Please note that, due to parking availability, all boat trailers must be parked detached from the vehicle in the trailer parking areas. We do not provide any electric in the vehicle parking lots or trailer areas. Part of Bobber’s Lounge, our recreation room area includes a pool table, electronic dart game, internet jukebox and video games. We have fun for all ages so, come on in..shirt and shoes are NOT required! Perfect for inclement weather featuring 2 wood burning stoves to keep you toasty warm when the weather turns cold. Looking for the crappie beds…..around the docks at Alhonna, you’ll notice a lot of submerged trees. These trees provide nesting areas for crappie, bass and bluegill and provide anglers with stringers full of fish. 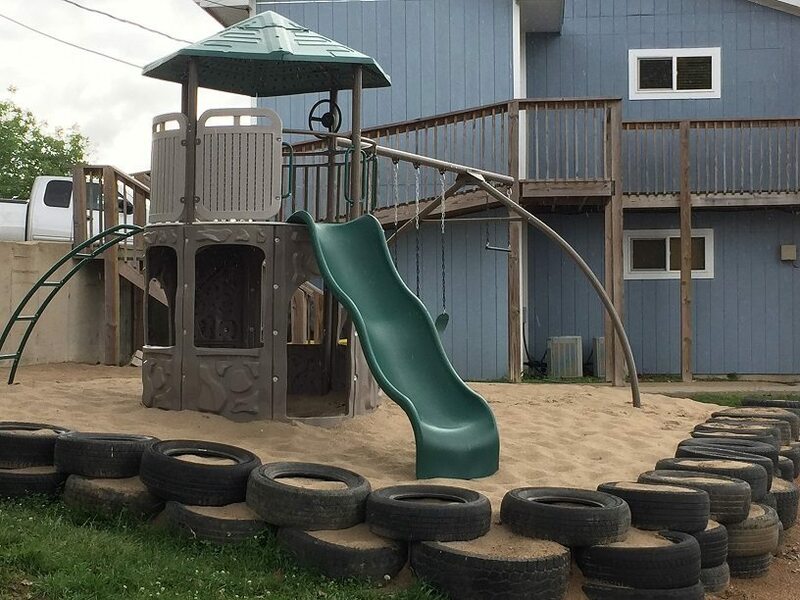 There is a play area with climbing tower, swings and a slide adjacent to the outdoor pool and recreation room areas. Don’t forget the kid’s shovel and bucket – lots of sand for building castles! Available during regular restaurant hours: 11 flavors of Blue Bunny Ice Cream! You can enjoy your ice cream in a cup, regular cone or home made waffle cone. We also offer shakes, malts and sundaes! And…don’t forget your Bill’s….fresh lemonade made from REAL lemons! !